Aer's website claims only a 13" will fit but we've had no problem with a 15" MacBook Pro. The Aer Go Pack is a lightweight and packable daypack with a premium appearance that serves as a great companion to a larger piece of luggage. 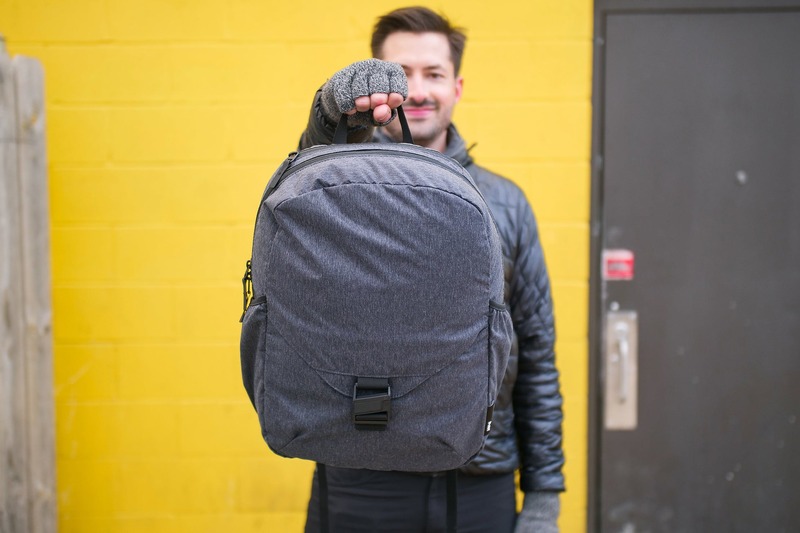 It’s the sort of bag that looks and feels like your everyday carry pack, which makes it a versatile choice for both travelers and commuters alike–despite subpar compressibility. 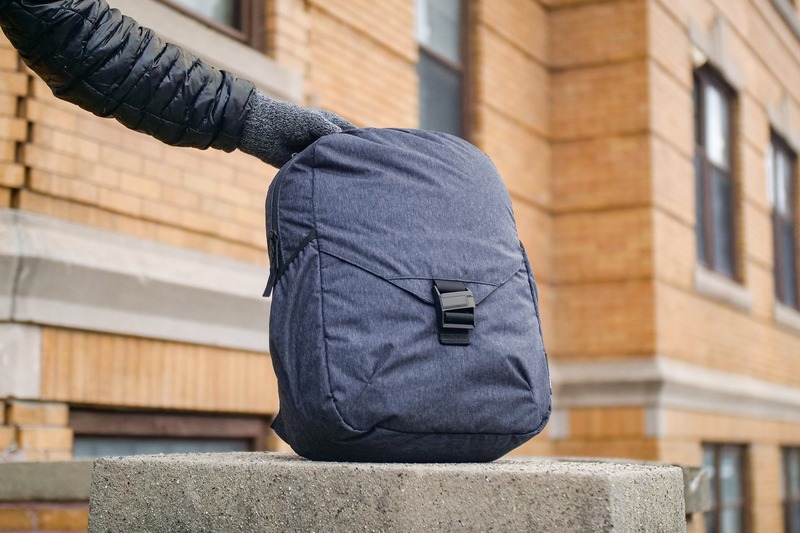 Since getting its start in 2014 with a crowdfunded gym- and office-bag combo, Aer has been known for light and minimalistic designs that are made to be both smart and durable. We’ve tested a whole lot of gear from Aer, and they’ve rarely left us disappointed. 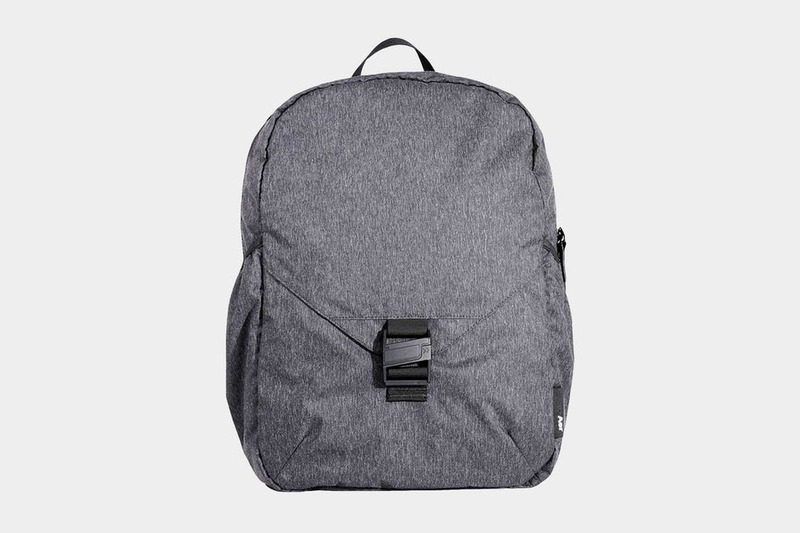 So, needless to say, we were excited to see that this pack–part of Aer’s Go Collection for “all-day adventures in the city”–had some improvements over previous styles. We couldn’t wait to start testing this thing, and if you’re anything like us, you can’t wait to see if it lives up to the hype. Let’s check out the details. 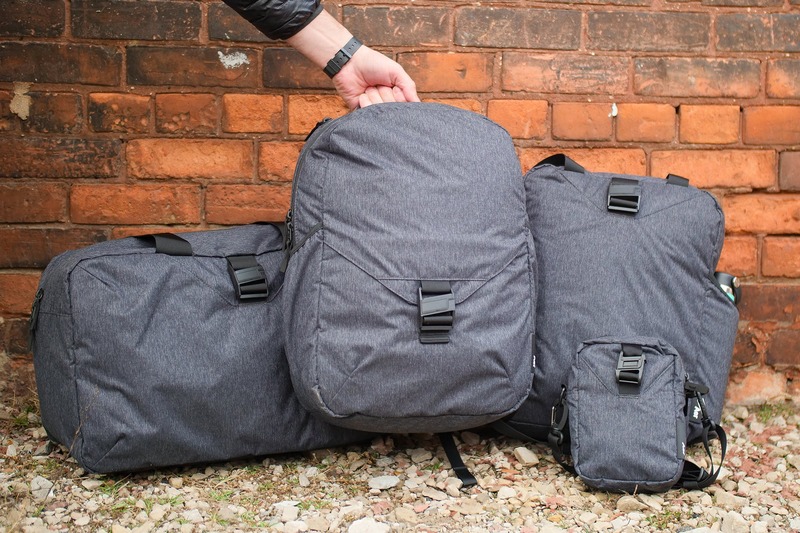 Right off the bat, the Aer Go Pack scores big points for its quality components and style. It’s made with a 300D CORDURA® ripstop nylon all the way around, which means this pack is not only ultra-durable but it also looks more high-end than some of its competitors in this class. 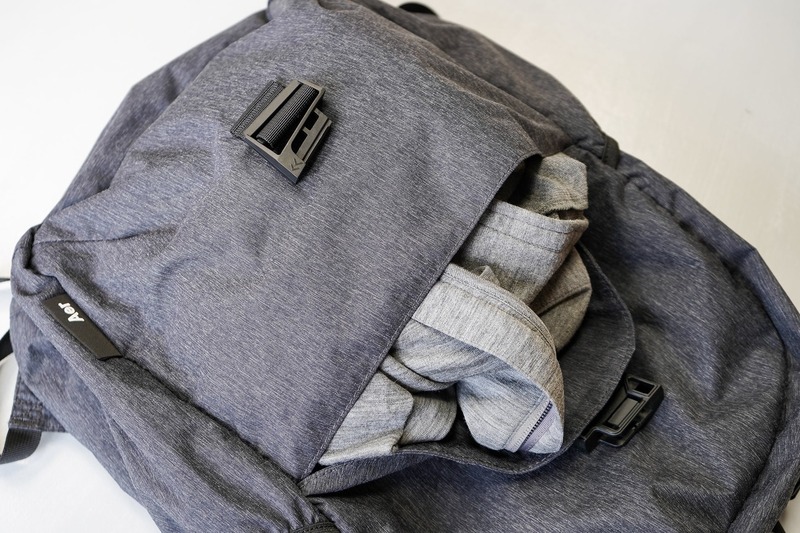 While almost everything comes in a heathered gray these days, they aren’t all created equally – and the Aer Go Pack’s visual appeal is definitely a step above something like the polyester material we’ve seen on the gray Tortuga Setout, for example (but that’s just our opinion). Surprisingly enough, heathered gray (or “Heathered Black,” as Aer calls it) is the only colorway currently offered on the Go Collection. It’s an interesting change from the brand’s usual all-black initial release and we expect to see more colorways released in the future. The strap adjusters are equipped with Duraflex hardware, which is a solid pick for plastic hardware. Plus, YKK zippers with grippy Hypalon zipper pulls make opening and closing the bag a breeze. We always love to see these, and it comes as no surprise to see them on an Aer pack—they’ve been using YKK since their inception, and we don’t anticipate them stopping anytime soon. 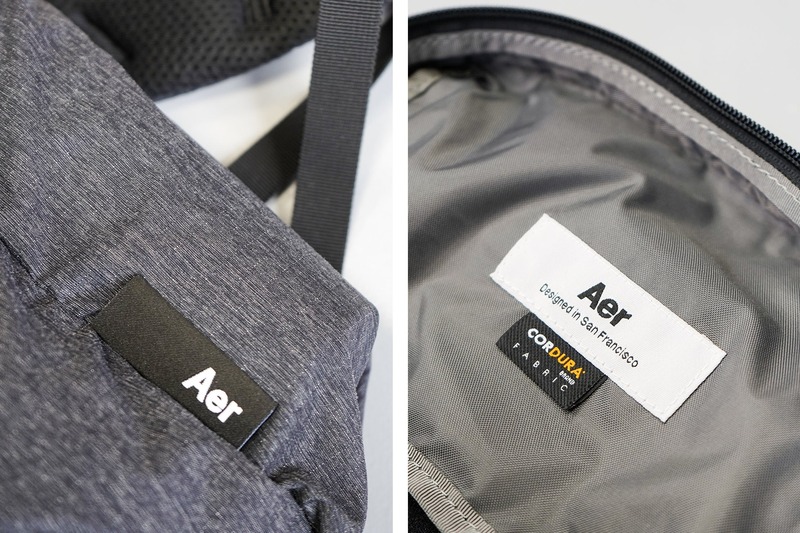 The Go Pack continues Aer’s trend of minimal branding with one small logo on the outside of the bag and another on the inside, nicely complimenting the pack’s streamlined design. 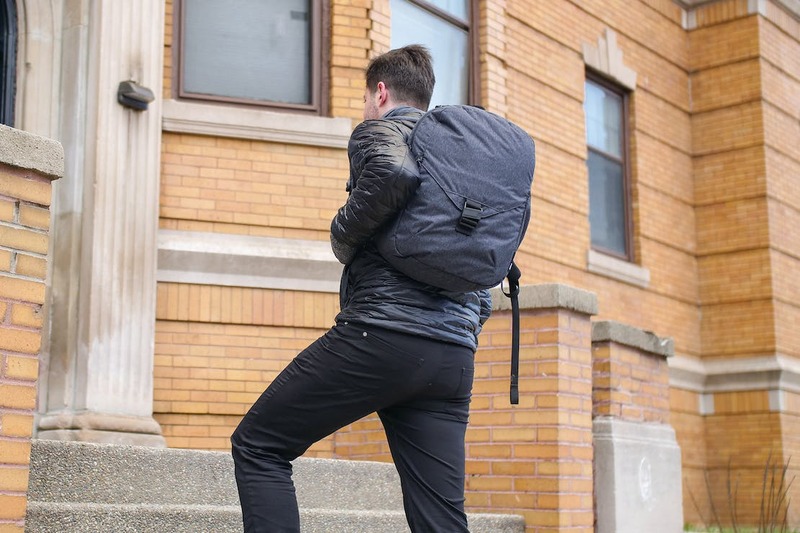 We like how this pack looks and feels like a real backpack, but since it’s sturdier than your average packable daypack, it’s also less compressible and it doesn’t include a bag for compressing it into. Overall, we think it looks pretty slick – and a majority of our friends on Instagram agreed (follow us to take part in future polls!). If there’s one feature you’ll love most about this bag, it might be the magnetic Fidlock buckle in front that we found incredibly satisfying. 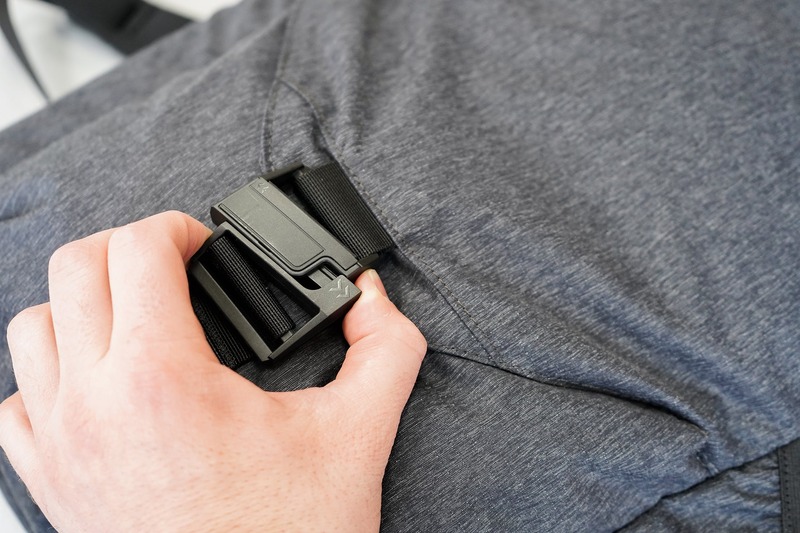 When you’re not using it for functional purposes, you may find yourself fidgeting with it for entertainment – and that would actually be part of the fastener’s intended purpose, since Fidlock designs them to be fun (yeah, we looked it up). The Go Pack’s adjustable harness system offers padded straps that provide more comfort than your average packable day pack. 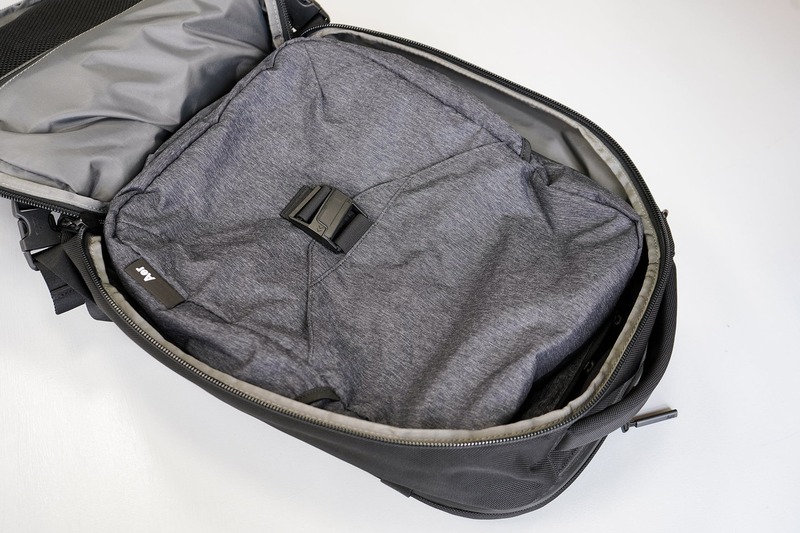 This feature does, however, make the bag less compressible – but we’ll share more on that later. 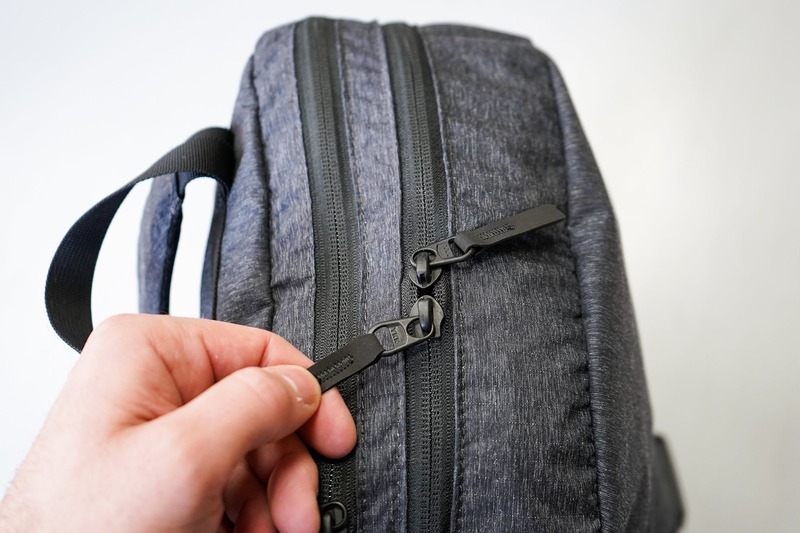 A standard nylon loop is featured on top for hanging the pack, a nylon strip across the back panel serves as extra reinforcement for one of the weaker points on the pack, and you’ll also find a luggage pass-through strap for securing the bag to roller luggage. 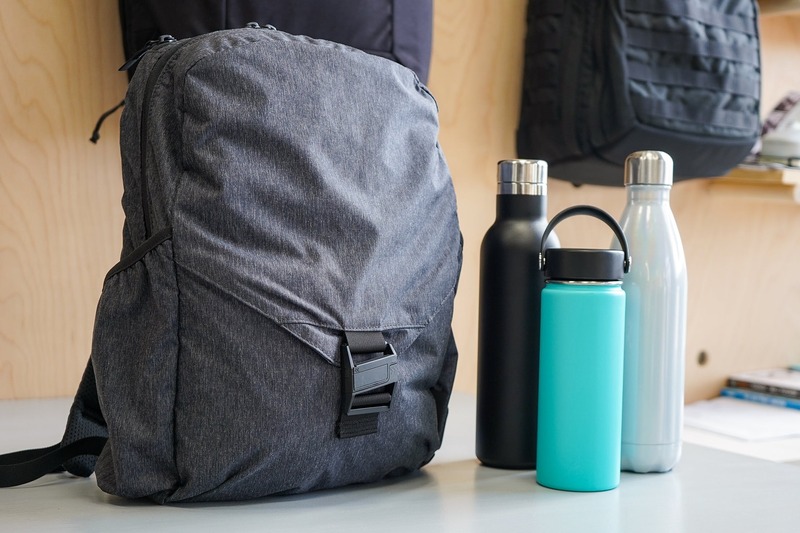 Water bottle compartments are included on each side of the Go Pack, both utilizing the same heathered gray CORDURA® found on the rest of the pack. While these aren’t the most robust pockets we’ve tested, they work well enough with multiple water bottle sizes. 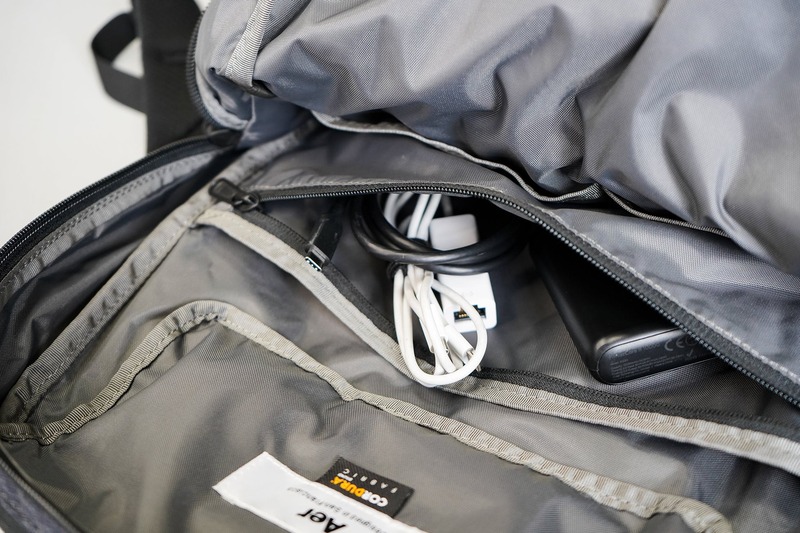 Opening up the Aer Go Pack, attention to detail and smart organization stand out among its interior features. First off, behind that satisfying front buckle you’ll find a no-frills pocket that sits on the bottom portion of the pack. 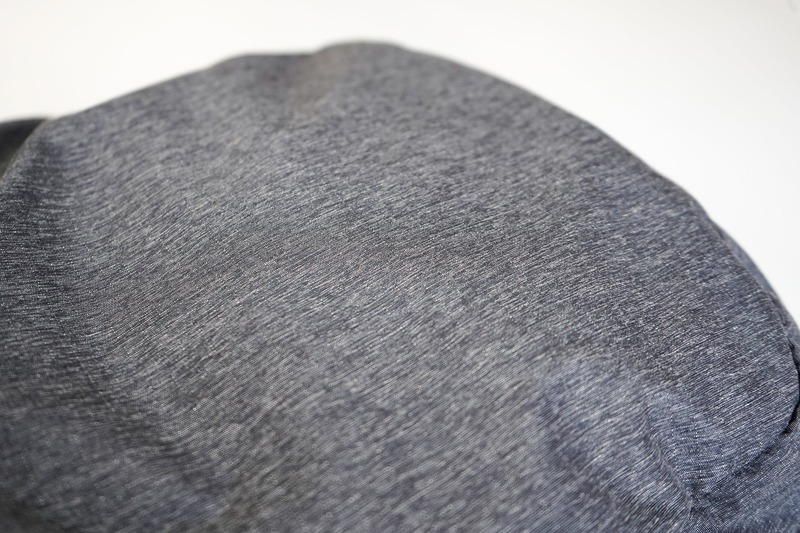 We’ve found this pocket to be ideal for storing larger items like a light jacket. We should note that this pocket doesn’t shut completely, so you’ll definitely want to avoid keeping any valuables or small items here. 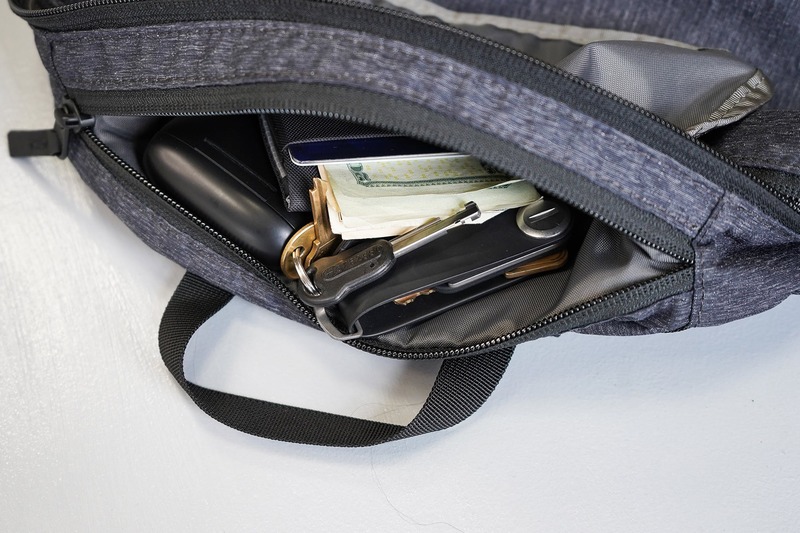 At the very top of the bag, there’s a generous quick-grab zipper pouch that will fit a plus-sized iPhone, wallet and other smaller valuables. We’ve found that if you overstuff this pouch, you’re going to have a tough time getting your laptop in or out of the laptop sleeve. 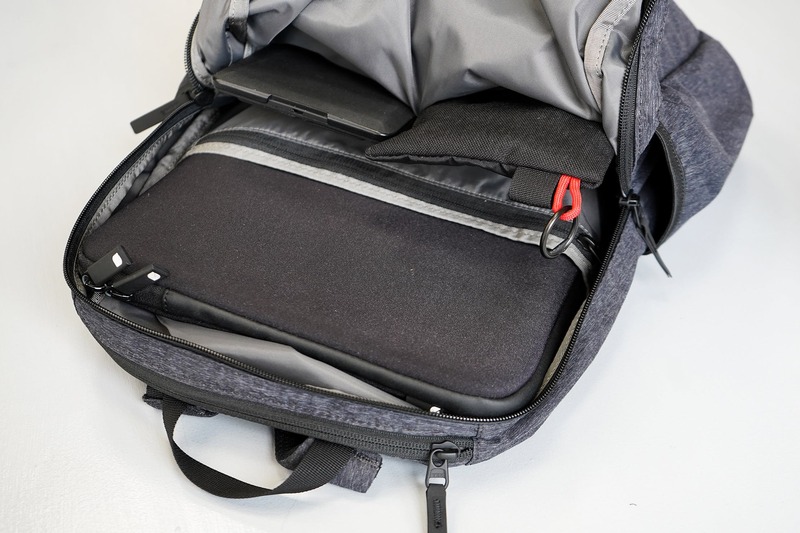 In the main compartment, the front flap has two nylon liner pockets made of a thin mesh material and the back flap features a laptop sleeve that we’ve found easily accommodates a 15-inch MacBook Pro. Aer’s website says it only fits a 13-inch laptop, so we’re not sure if that’s an error or there’s some other reason for that–but we’re looking into it. 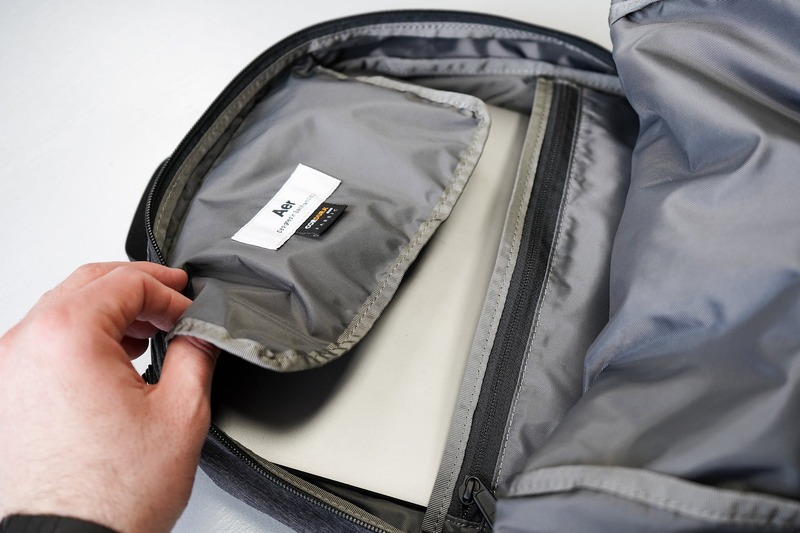 The Go Pack’s laptop sleeve is designed with a false bottom, meaning your laptop will be somewhat suspended inside the main capacity of the pack rather than hitting the bottom. We’re huge fans of this feature and wish all laptop compartments had it (we take laptop protection pretty seriously–it’s your livelihood, after all!). Previous Aer bags didn’t have the false bottom, so it’s a positive change–and we’re glad to see the company continually working to improve its products. Finally, a zippered pocket at the front of the laptop sleeve is ideal for storing smaller tech items, charging cords and the like. Overall, we’re happy with how the Aer Go Pack is organized. As always, we recommend using packing cubes and pouches to keep things protected and neat inside any daypack (AKA, preventing your stuff from spilling out on the train or poking into your back as you walk). 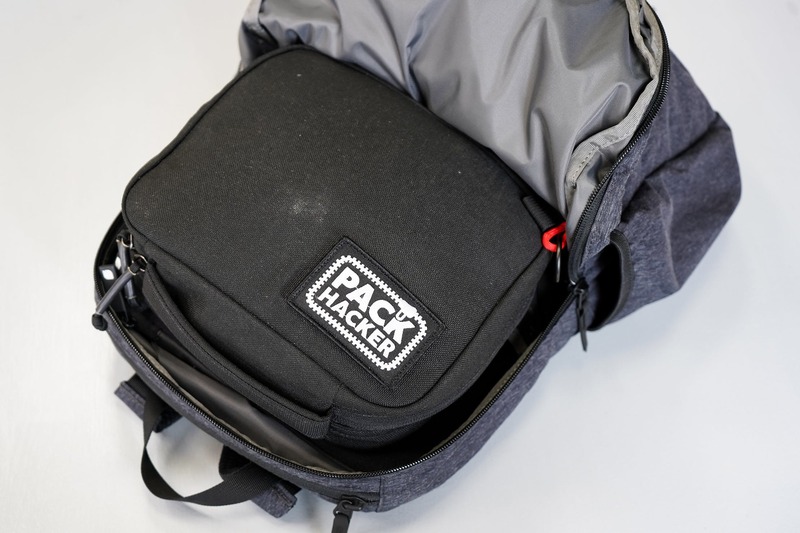 At the time of this review, we’ve been testing the Aer Go Pack for two weeks as a daily driver around the city. So far, it hasn’t picked up any physical blemishes and we think the heathered gray color will hide dirt pretty well. 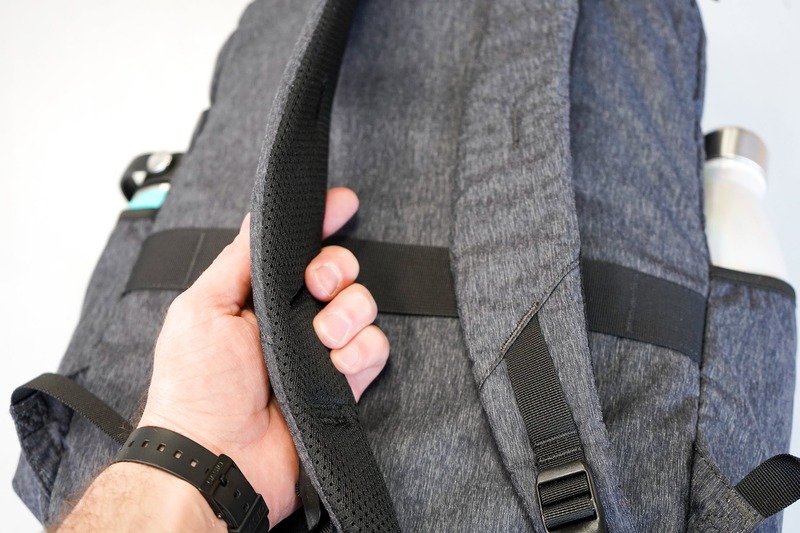 While the padded straps are a breath of fresh air for a bag in this category, we found it comes at the expense of compressibility. Unlike many of the lightweight packs we’ve tested that fold into themselves easily or come with a bag to compress into, the Go Pack offers neither – and that’s a little odd. 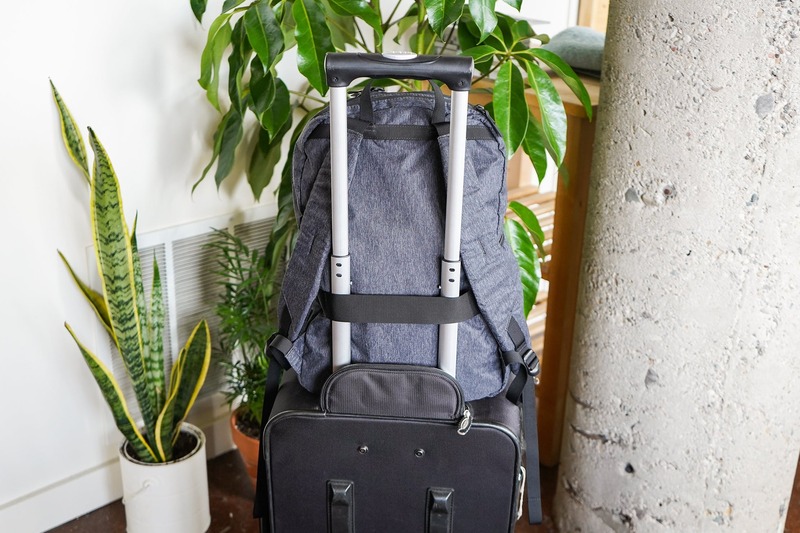 If you want to compress this bag and toss it into your larger travel bag, your best bet is to lay the pack flat and roll it up using the Fidlock buckle. But it’s not a perfect system by any means—the straps still hang out quite a bit. We’ve also tried stuffing it into its own front pocket, which sort of works but there’s no way to close it. So it doesn’t compress very well. But is that a dealbreaker? In the end, no. Yes, we wish that Aer had put more effort into a self-compressing option, but it still packs flat in your luggage. Considering the harness system and overall “sturdiness” of this pack compared to some of the other packable daypacks we’ve tested, we think this is a reasonable tradeoff. One other thing we should point out is that taller travelers carrying a laptop might have some discomfort with the way the laptop is positioned in the pack. We’ve found this happens as a result of the false bottom, but your mileage may vary. Sturdier than most other bags in the packable class. 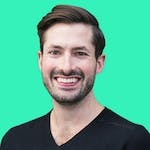 No self-compressing feature. Not as packable as we’d like. Luggage passthrough and water bottle pockets look a little subpar. Noticing the subpar water bottle pockets a bit more but the padded straps are a nice touch for comfort and the organization is on point. 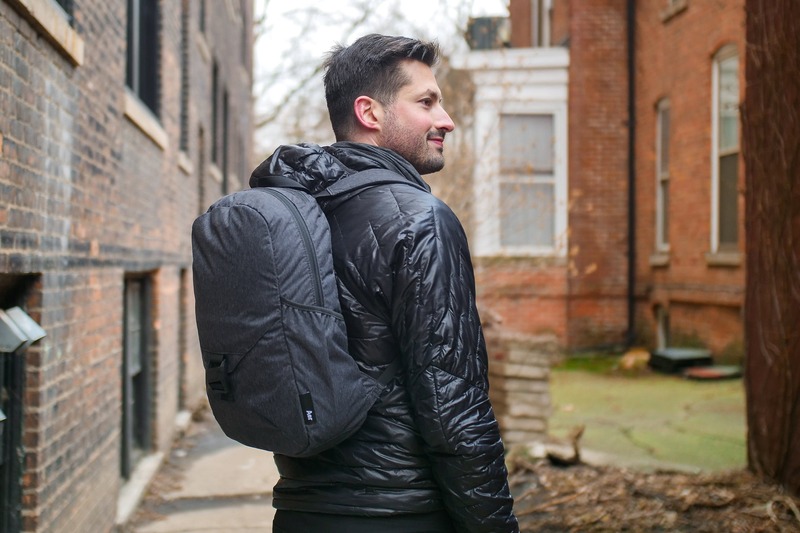 For what the Aer Go Pack lacks in compressibility, it makes up for in function and style. With its cushioned shoulder straps and heathered accents, we love how this bag looks and feels like an ordinary daily carry pack. If you’re okay with a pack that doesn’t fold into itself or have a compression sack—but can still lay flat in your larger travel bag—the Go Pack could be a solid choice for your daily travels.